Betty Webb and Donis Casey present the latest novels of their popular series, both set in Arizona. Bestselling mystery author Betty Webb visits with Desert Rage, the eighth installment of her Lena Jones series, in which Lena is hired by an ambitious Senatorial candidate to investigate a murder to which her secret biological daughter has just confessed. Joining her is two-time Arizona Book Award winner Donis Casey, who shares Hell With the Lid Blown Off, the latest installment in her Alafair Tucker mystery series about an Oklahoma murder investigation set at the turn of the 20th century. ABOUT THE AUTHORS Betty Webb, as a journalist, has interviewed U.S. presidents, astronauts, and Nobel Prize winners, as well as the homeless, dying, and polygamy runaways. The dark Lena Jones mysteries are based on stories she covered as a reporter. Betty's humorous Gunn Zoo series debuted with the critically acclaimed The Anteater of Death, followed by The Koala of Death. A book reviewer at Mystery Scene Magazine, Betty is a member of National Federation of Press Women, Mystery Writers of America, and the National Organization of Zoo Keepers. Visit her at bettywebb-zoomystery.com. Donis Casey is the author of seven Alafair Tucker Mysteries. The award-winning series, featuring the sleuthing mother of ten children, is set in Oklahoma and Arizona during the booming 1910s. Donis is a former teacher, academic librarian, and entrepreneur. Her first novel, The Old Buzzard Had It Coming, was named an Oklahoma Centennial Book. She lives in Tempe, Arizona. Read the first chapter of each book on her web site at doniscasey.com. ﻿﻿The bestselling author of the Lena Jones and Gunn Zoo mystery series hosts a writing workshop on mysteries and thrillers. In this hands-on workshop, Betty Webb delves into story structure, tone, theme, the "arc of action," setting, character development, self-editing, and research. Webb also provides tips on getting an agent, writing a synopsis, and a crash course in determining which kind of publishing is right for you—regular royalty press, e-publishing, or self-publishing in print. Cost: $25. Registration and pre-payment: 480.730.0205. 7PM WEDNESDAY, JANUARY 16 Betty Webb: The Llama of Death ﻿﻿Prize-winning mystery author Betty Webb presents The Llama of Death, the third novel in her Gunn Zoo series. Zookeeper Theodora "Teddy" Bentley takes Alejandro, the Gunn Zoo llama, to a Monterey Bay-area Renaissance Faire only to discover the still-warm body of the Reverend Emerson, owner of the local wedding chapel, dressed in his royal robes as Henry the VIII. Teddy's investigation proves the "reverend" is actually an escaped convict, and every marriage he's performed in the past twenty years is null and void. Teddy's mother Caro, a spoiled ex-beauty queen, becomes the chief suspect and is immediately jailed. The "reverend" had twice married Caro to wealthy men, and when both marriages failed, Caro received large financial settlements. Now she may have to give all that money back, certainly a good enough reason to commit murder. But Caro wasn't the only person gunning for Emerson. As Teddy continues her investigation, she finds herself up to her ears in girl gang members, squabbling boat liveaboards, Renaissance Faire actors and stuntmen, and assorted animals. Writing Workshop | Betty Webb | Write that Novel! 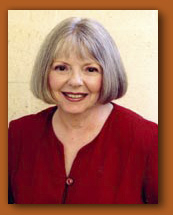 6:30-8:30PM WEDNESDAY, AUGUST 8 Writing Workshop with Betty Webb: Write that Novel! ﻿﻿Bestselling mystery novelist Betty Webb hosts a workshop to take you through the entire novel-writing process, from idea to finished product. ﻿She covers topics such as getting five novel ideas every day, structuring your time, writing style, plot versus arc of action, character development, scene construction, and keeping your dialogue realistic. She also shares tips on query letters, getting an agent, and writing a synopsis. Handouts on all topics will be provided. Cost: $25. Registration and pre-payment: 480.730.0205. 7PM TUESDAY, FEBRUARY 21 Meet Betty Webb: Desert Wind Betty Webb Betty Webb, the prize-winning author of over ten mystery novels, visits with Desert Wind, the seventh installation of her Lena Jones Mystery series. When P.I. Lena Jones's Pima Indian partner Jimmy Sisiwan is arrested in the remote northern Arizona town of Walapai Flats, Lena closes her office and rushes to his aid. There, she finds is a town up in arms over the construction of a new uranium mine. Jimmy's sister-in-law, founder of Victims of Uranium Mining, has been murdered. Then, Ike Donohue, the mine's public relations manager, is found shot to death, casting suspicion on Jimmy and his entire family. Lena's investigation turns up not only a community decimated by dangerous mining practices, but a connection to infamous Western actor John Wayne and the mysterious deaths around the filming of his '53 filming of "The Conqueror." It’s up to Lena to find out the decades-old tragedy no one in Walapai Flats wants to talk about — and learn that old sins never die. In Desert Wind, the seventh Arizona PI Lena Jones mystery, Betty Webb and her protagonist explore the issues of mining and bomb testing and their impacts on the environment and those who love in it, when Lena is asked to help investigate a murder with ties to her partner's Pima Indian family. And the second Gunn Zoo mystery, The Koala of Death, sets quirky Theodora "Teddy" Bentley on the trail of the killer of fellow zookeeper "Koala Kate." Betty Webb discusses The Koala of Death. Betty Webb is currently considered a "single author." If one or more works are by a distinct, homonymous authors, go ahead and split the author. Betty Webb is composed of 2 names. You can examine and separate out names.